Zagoria Law, an Atlanta-based law firm specializing in personal injury cases, today announced that Associate Attorney Brooks Neely has settled his first six figure case, Wacaster v. Gilreath. “We congratulate Brooks on a job well done securing justice for our client,” said Zagoria Law Founder and Principal David Zagoria. Zagoria Law, an Atlanta-based law firm specializing in personal injury cases, today announced that Associate Attorney Brooks Neely has settled his first six figure case, Wacaster v. Gilreath. The case arose from a dog bite and damages were paid by the dog owner’s insurance company for $100,000.00 per claim number T0252515. The case was settled pre-suit by Zagoria Law. According to the claim, Amanda Wacaster, age 31, was bitten by Heather Gilreath’s (Defendant) St. Bernard, named “Hoss.” The incident occurred at the Defendant’s Pickens County residence in Jasper, Georgia on March 25, 2016. 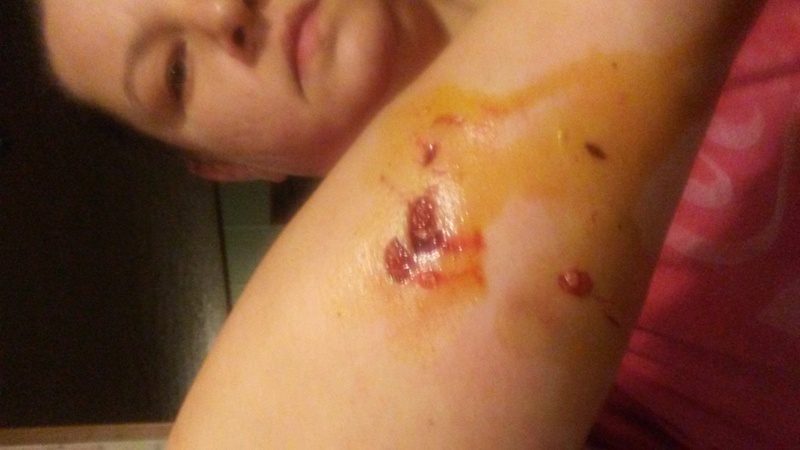 The bite was on Ms. Wacaster’s right forearm and the wound required significant suturing to repair. “This case presented significant challenges because the attack occurred in the Defendant’s home. However, we were able to prove that the dog had aggressive tendencies, as a result of our discovery of a previous incident in which ‘Hoss’ tried to bite another person,” said Zagoria Law Associate Attorney Brooks Neely. Zagoria Law is an Atlanta-based personal injury law firm dedicated to providing unyielding representation to our clients. Founder David Zagoria has more than 15 years of experience as a prosecutor and trial attorney litigating injury cases in State and Federal Courts throughout Georgia. Our focus on personal injury cases, specifically dog bites and serious injury related vehicle accidents, enables us to provide unparalleled service and dedication to our clients from the very beginning of their case until the end. For more information, please visit http://www.lawzagoria.com.